Check-in from 3 p.m. – 7 p.m. In the heart of the Tuscan countryside, nestled in the hills of Chianti, the Resort Chianti Village Morrocco is located in an exclusive location, which offers both tranquility and proximity to the most popular destinations of the region. The towns of Florence, Siena, Monteriggioni, Volterra and San Gimignano are within easy reach from the resort. The nearest airport of Florence is 36 km away from the resort. The country chic style characterizes the Chianti Village Resort, which consists of a horseshoe-shaped building overlooking a large swimming pool, in turn surrounded by a beautiful park. The park is available for guests for walks, to read and relax. The design is modern and comfortable, the setting is elegant and informal. The reception is open during high season from 8 am to 10 pm; during the rest of the year from 8 am to 8 pm. 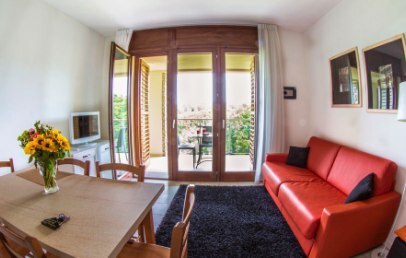 The resort consists of 56 apartments with LCD TV, fully equipped kitchens and beautiful terraces. 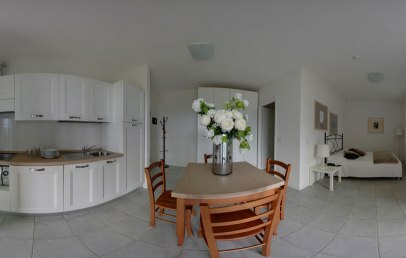 Three-room Apartments – 50 sqm, have a large double bedroom, one single bedroom, a living room, a kitchenette and a bathroom. View over the swimming pool or the hills of Tuscany. The restaurant of the resort opens the day with a tempting sweet and savoury buffet breakfast (on request). Later in the day, guests are welcome for lunch and dinner; they are offered a traditional Tuscan cuisine with a contemporary touch. The resort has a swimming pool (in service from May to end of August), equipped with umbrellas and tables, and a beautiful park where guest can relax with pleasant walks. It has a free parking for guests, the possibility to get internet access in the lobby and the reception, free of charge via Wi-Fi. Tourist tax – € 1,00 per person/overnight for the first 7 nights, starting from 14 years old. 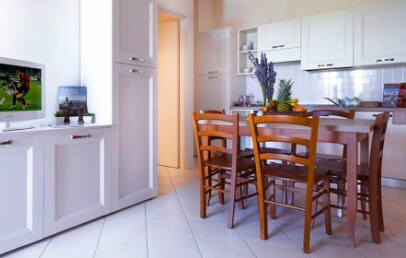 The two-room apartments have a modern design, elegant and comfortable; they are spacious and bright. 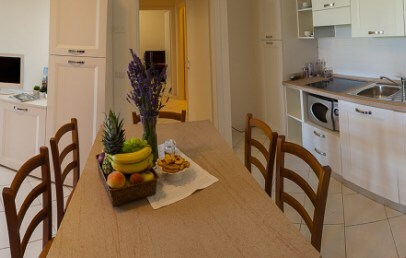 They consist of a double bedroom, a living room with kitchenette and bathroom with shower. They are equipped with heating and air conditioning, microwave and dishwasher. Terrace overlooking the pool or the Tuscan hills. 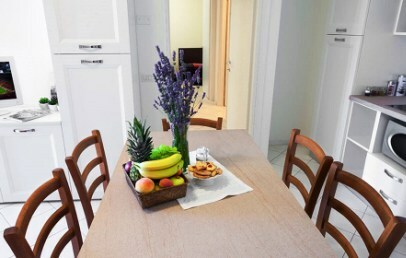 The two-room apartments have a modern design, elegant and comfortable; they are spacious and bright. 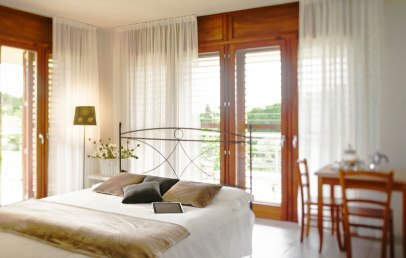 They consist of a double bedroom, a single bedroom, a living room with kitchenette and bathroom with shower. They are equipped with heating and air conditioning, microwave and dishwasher. Terrace, overlooking the pool or the Tuscan hills. 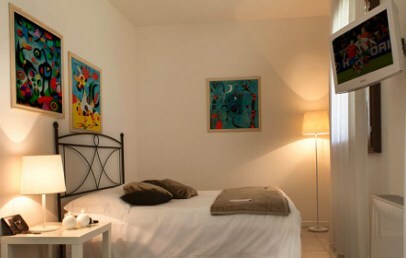 The studio flats for two person are elegant, comfortable and have a modern design. 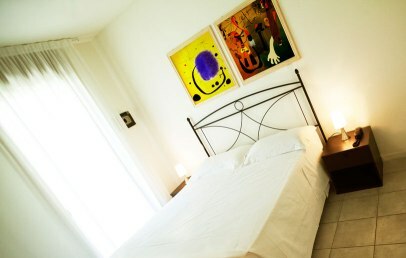 They are spacious and bright with one room with king size bed, living area, kitchenette and bathroom with shower. 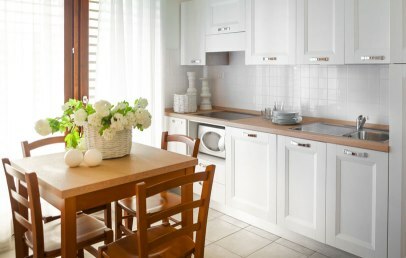 They are equipped with independent heating and air conditioning system, microwave and dishwasher. 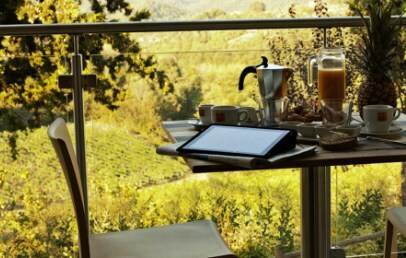 They offer either a balcony or a patio with view on the pool or on the hills of Tuscany. 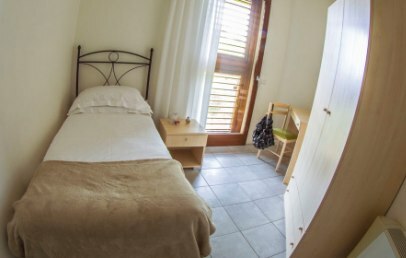 Costs for the baby cot (€ 5,00/day) not included in the price and to be paid locally.